Hello again, duelists! I know it's been a while since my last article, but there was a bit of a downtime between the KMC season and the Championship during which I didn't really have much to write about. Most of my time doing Kaijudo-related activities consisted of drafting, looking over Quest for the Gauntlet, and testing to figure out what I would run for that very event. Despite an x-2 performance in PA, season three of KMCs had been very good to me, and I was looking to continue that streak if possible. In addition, I wanted to redeem myself after not making the top cut at the Winter Championship at the end of last year. As appears to be the norm for me going into a Championship, I was skeptical of the deck I wanted to use. Matt Segura and Spencer Swan had helped me build a LW control deck with a ton of blockers that we thought would be amazing against all the aggro and tempo decks we expected. Testing confirmed this, and I was beating LF rush, LN Evo decks, and LWN tempo pretty handily. The problems started to arise when Spencer built a DN Queen Kalima control and we pit LW against it. My first result against Kalima was 1-4, and it was generally a creaming. I nearly audibled to Kalima days before the championship, but changed my mind the day before the event. It seemed as if everyone (except Carl) was also switching to a LD midrange-y control deck featuring [ccProd]Trox the Merciless[/ccProd], [ccProd]Grand Manipulator Agaryx[/ccProd], and [ccProd]Serpens, the Spirit Shifter[/ccProd]. I didn't think the deck had quite as good of a matchup against me as Kalima would have, since in truth, Kalima was the problem card for LW in my experience. I decided I would be able to mitigate most of my bad matchups by including a fair amount of tech against control, and in doing so, retain my favorable matchups like aggro and tempo; I still thought those would be the dominant decks. The anti-control tech I decided to include was mostly just [ccProd]Ironwill Tree[/ccProd], which I felt was important with all the LD decks running at least six cards that discarded my hand early on. I also made the last-minute decision to cut one of my two remaining copies of [ccProd]The Arbiter[/ccProd] (which seemed to be significantly less useful in a deck that generates a massive wall of blockers) for a third [ccProd]Keeper of Laws[/ccProd]. [ccProd]Thought Collective[/ccProd] could be considered another tech against control since I was really unsure of which Water draw spell I wanted to run. Thought Collective seemed to fit in nicely to my ideal curve against control, allowing me to play Ironwill first and still be able to dig for cards like Keeper of Laws and [ccProd]Eye Spy[/ccProd], or even [ccProd]Panopter[/ccProd] for a problematic turn five play. Before I could use that deck, though, I had to make it through the booster draft rounds alive! My pod also consisted of Rob Gruber, Gordon Kane, Garrett Ward, Alexander Hugh Sam, Michael Ryzner, Julian Anonby, and Chris Randolph. The draft itself started out well for me, as I opened [ccProd]Shanok, the Soul Harvester[/ccProd] in my first pack, which I immediately grabbed. Starting off with a bomb is generally where you want to be, and most won't make it past the second or third pick - you have to grab one fast. Shanok was definitely not a bad one to grab, and for the rest of the pack I basically took any decent to good Darkness card I could. I only passed on the ones I think are verging on unplayable in limited: [ccProd]Grave Call[/ccProd] and [ccProd]Snakebite[/ccProd]. By the end of pack one, I had really cut the guys on my left out of Darkness, and the only non mono-Dark cards I took were two Fire cards that I don't remember when nothing else in my pack was exciting, an [ccProd]Eye of Inquisition[/ccProd], and an [ccProd]Aqua Inquisitor[/ccProd]. I would have been ok moving into either Light or Water, but given that I think the cards in Light are generally better (and I already had the Eye), I wasn't disappointed when I was able to snag a few solid Light support cards in pack two. In addition, my pack one strategy had paid off and I was getting passed multiple [ccProd]Fumes[/ccProd], a [ccProd]Gloom-Hollow Taskmaster[/ccProd], and other Darkness gems in multiples. By pack three, I was feeling very good about the deck, and then I was even able to open [ccProd]The Arbiter[/ccProd]. When it finally came time to build the deck, it shaped up just about how I had imagined it when drafting: a few solid Evo bombs, a good amount of discard and removal, and some other neat tricks. I was definitely a fan since it was one of the more control-type decks you might see in a booster draft. Not committing to breaking shields early is nice in Quest draft due to the numerous Shield Blast creatures that people snap play. In round one I was paired against Chris Randolph, who was running what I think was a WF aggressive deck. There may have been another civilization in there somewhere, but I think it was just the two. Game one didn't go in my favor, as I couldn't stabilize against a stream of powerful Evolutions. [ccProd]Dropship Commando[/ccProd] followed by [ccProd]Restless Conflagration[/ccProd] ended the game rather quickly for him. Losing the first game of the tournament didn't seem like the greatest sign of things to come at the time, but I was luckily able to turn the match around in the next two games. Game two, I was simply able to draw what I needed and I saw my discard. The advantage eventually become overwhelming. Game three was the most back-and-forth of the match, but my deck did what it was supposed to do and The Arbiter also made a special guest appearance in my shields, allowing me to take the match 2-1. Round two against Michael Ryzner also threatened to start off with a game one loss. On turn two he apologized and dropped three [ccProd]Stratus Dart[/ccProd]s from his hand. The only saving grace was that he was close to topdecking with only two mana, so I just had to do what I could to stabilize. I summed a turn two creature of some sort to try to fend off his army, and was lucky that he didn't have a turn three play as well. He broke three shields and [ccProd]Creeping Heap[/ccProd] popped out of the last one. Even though I got dangerously low on shields (quite possibly going to zero), I was able to turn the game around. Game two went much more in my favor, partly in thanks to him not seeing an army of his four [ccProd]Stratus Dart[/ccProd]s, and I took the match 2-0. Round three was a grind against Alexander Hugh Sam. I can't remember what exactly he was running, but we went to three games and I think they all were close. I'm pretty certain that he also drafted Darkness. For booster draft, it was a very control-ish match, and I was just lucky that I had power cards like [ccProd]Oblivion Knight[/ccProd] on my side. Having made the final alterations to my Standard deck during the lunch break with Rob Hebert and my teammates, I was feeling pretty confident going into this portion of the tournament. I quickly ran into what I thought might be one of my worst possible matchups against Alexandyr Dolph, who had LCQed in the previous day. He was running a LDF Control deck with the Agaryx/Serpens tricks I had seen as well as two copies of [ccProd]Blaze Helix[/ccProd], a definite problem card for me. This was my first feature match of the tournament, so I encourage everyone to check out the wizardskaijudo YouTube channel; the feature matches are being taken from the Twitch footage and should be up as their own videos. Without going into too much detail, I lost game one, but was able to take the rest of the match thanks to Ironwill Tree and making sure Blaze Helix wouldn't wipe out all of my options at any given time. It was definitely a close match and I was glad to have the matchup behind me. In round five I actually got to play against what I thought would be a good matchup in Noah Koessel's LWN tempo. Of course, he had decided to tech two copies of [ccProd]Reverberate[/ccProd] for control decks like mine, so I was right and wrong. Reverberate blew me out in game one (and I even forgot my Keeper of Laws trigger in what was possibly the most obvious mistake of the weekend), but like in round four, I was able to take the rest of the match. In game three, Noah attacked with a [ccProd]Regent Sasha[/ccProd] and didn't unleash, allowing me to summon my own copy and easily take care of his. I'm pretty sure I had a path to victory in my hand regardless of whether or not he unleashed, but it was an interesting moment that really illustrates the constant dilemma of whether or not to use Unleash effects. I was paired up against fellow ARG writer Mark Woodin in the final round of day one, which sucked for a number of reasons. The first of those reasons was that he had just come off a loss to my teammate Carl Miciotto in what was an interesting match to say the least. The short story is that both players made some mistakes, the end result of which being a judge correcting the game state in a way that basically cost Woodin a game he might have been able to win. The second reason this pairing was bad for me was that Woodin was running a version of Kalima Control, which had more or less become his signature deck since the end of the second KMC season. This time, it was among my worst matchups. Since I was x-0 and he was x-1, I offered the draw. This was the last round that intentional draws were allowed, and I would have to go 1-2 the next day either way, but he wanted to play it out. The match itself is rather hard to remember, though his version of LDN with cards like [ccProd]Repulse[/ccProd] and [ccProd]Johnny Darkseed[/ccProd] was cool. I dropped a game in the middle of the match, but was able to take the match 2-1. [ccProd]Queen Kalima[/ccProd] herself made a surprisingly small amount of appearances which was definitely good for me. My first match in day two was against the only other undefeated player, Jon Johnson of Team CyberLordGames. He had just come off a victory over Carl's LF aggro and was using the LD deck I discussed earlier. Since the last-minute changes to my deck, I was feeling better about the matchup. It was also nice to be up against a control deck that didn't run any board-wipes that could end my game like Blaze Helix or Queen Kalima. Trox the Merciless could be problematic at times, but was easier to play around than the other two. The match against Jon was another feature, so I won't spoil too much, but it was a really fun three-game match. I took game one after building up a board of blockers, and Jon took game two. Game three really came down to the wire, but [ccProd]Regent Sasha[/ccProd]'s Unleash ability saved me and allowed me to effectively negate his attacks on my shields since I had enough creatures in my hand. Just like that, I was 7-0 and a lock for the top eight! In the second match of day two, I was paired against the deck I now believed was my worst matchup in the room: LWD control featuring [ccProd]Panopter[/ccProd] and a wide array of blockers. Truth be told, it was a lot like my deck in some ways, though it had a longer curve and aimed to end the game with cards like [ccProd]Eternal Haven[/ccProd] and [ccProd]Cassiopeia Starborn[/ccProd]. My only advantages in this matchup were really Ironwill Tree and the hope that I'd be able to draw my important cards a little more consistently. I was able to take the win over my opponent, Rob Efseroff, in another close three-game match. I felt lucky to escape the matchup alive and hoped that I wouldn't see it again. The ninth and final round of swiss saw me paired against Tyler Hine, who I knew to be running a LWN tempo deck similar to Noah's. Given that he was already x-1-1 and I was x-0, I decided to scoop to him since I was basically already guaranteed first or second seed. I felt like it was a fine matchup, but I didn't need to dreamcrush to place any higher in the top cut, and Tyler's a friend. This also gave me time to record a deck tech that will be up soon on the wizardskaijudo YouTube channel before the lunch break! After lunch, the top eight began. I was going into it at first seed, beating out Noah on tiebreakers after he won the rest of his matches in swiss. My top eight opponent was someone I had already played, Alexandyr Dolph. It wasn't a matchup I was looking forward to, and I actually wished for a minute that I was on the other side of the bracket, which consisted of three LWN tempo decks and a LF rush deck. Unfortunately, I just had to fight through more control to make it to the finals. Our top eight match wasn't recorded, but it wound up going a lot smoother than our round four match. I saw [ccProd]Ironwill Tree[/ccProd] in game one and was able to start the match with a win. Game two came down to the wire after Blaze Helix cleared the vast majority of the cards I had on board. I always tried to play around it, but I was also busy filtering through my deck with a Panopter in the battle zone, so I felt that even though it would banish a lot of creatures, I wouldn't be hit too hard. He left me with Keeper of Laws to his (I think) two shields, and on my turn I made the greedy play of summoning my two other copies of Keeper of Laws, both of which I had drawn into. [ccProd]Trox the Merciless[/ccProd] would have punished me hard here, but luckily he was only running one copy and didn't have it. Since that was really the only card in his deck that could deal with multiple hexproof creatures at once, I was able to attack for game on my next turn and move on to the top four! Like my quarterfinal match, the semifinals also pit me against a bad matchup from a swiss round. This time I was going into a rematch against Robert Efseroff's LWD control. In game one, I drew a sub-par hand and really wasn't able to get anything going. I saw a lot of Evolutions early that weren't able to be used, and he was able to eventually build up a very threatening board. I knew I was in a bad way when he got to ten mana and I didn't have full control of the battle zone. He played [ccProd]Cassiopeia Starborn[/ccProd], causing me to check what outs I had left in my deck. Knowing that my whole board would die over the course of the next two turns and I had no way to stop it or fight back, I scooped. Fortunately, I drew better game two and pushed the match into a third game yet again. Game three was very close, and the ending can be seen in the coverage; the other match, Tyler Hine's LWN tempo vs. Richard Yan's LF rush, understandably finished before ours. We were both fighting for control and I actually thought I was going to lose when we both had boards full of blockers with him at a high amount of mana. Apparently there was a turn in which he could have played [ccProd]Finbarr's Dreadnaught[/ccProd], but opted not to, and I summoned [ccProd]Blinder Beetle Prime[/ccProd] to kill a couple of his creatures. Since he didn't have the Cassiopeia in his hand, not even Dreadnaught could save him next turn, as I cleared enough of his defense out of the way with Piercing Judgment to attack for game with Keeper of Laws and move on to the finals! My final match can be watched in its entirety in the twitch coverage, and hopefully soon, on the wizardskaijudo YouTube channel. 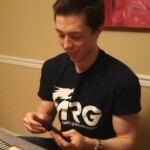 Richard Yan had defeated Tyler Hine, so I was finally up against a rush deck. I had been hoping to play against more because I believed it to be a very favorable matchup for me, but it was still pretty close in game one. I didn't draw blockers that could compete with [ccProd]Metal Max[/ccProd]'s 3500 power, so I lost some early shields. [ccProd]Blinder Beetle Prime[/ccProd] them caught me off guard and he attempted to go for game, but I had the one card I needed in shields: [ccProd]Piercing Judgment[/ccProd]. This allowed me to barely stabilize at zero shields and I eventually rode [ccProd]Regent Sasha[/ccProd] to victory. In game two, I had a much better early curve with cards like [ccProd]Aqua Strider[/ccProd] and [ccProd]Piercing Judgment[/ccProd]. The game was honestly never not going in my favor from where I was sitting, and I took a 2-0 victory! It was nice to be able to finally play against what I considered to be a good matchup and have it actually go in my favor. The tournament was a great experience. I loved the two-day format featuring Standard and Booster Draft, and I really hope drafting continues for a few rounds in future championships. It's truly very skillful as well as a lot of fun. Spending time with my team and tons of friends I've made across the continent in this game was obviously one of the high points, and a special shout out goes to everyone else who was able to make the top eight: Richard Yan, Tyler Hine, Rob Efseroff, Joe Bass, Noah Koessel, Kevin Winther (who got his top eight at 14! ), and Alexandyr Dolph. Seattle was a ton of fun, and I'm looking forward to the KMC season starting in a couple weeks when I'll be able to travel to some more events and meet more people in preparation for the Winter Championship in Rhode Island this October! I'm invited, so you know I'll be there. I hope you all enjoyed the report, and until next time, Play Hard or Go Home!